This Festive barricade tape featuring a row of arched back black cats. Use to mark off areas on the trick or treat path and makes a great Halloween party decoration. Yellow tape with black print. 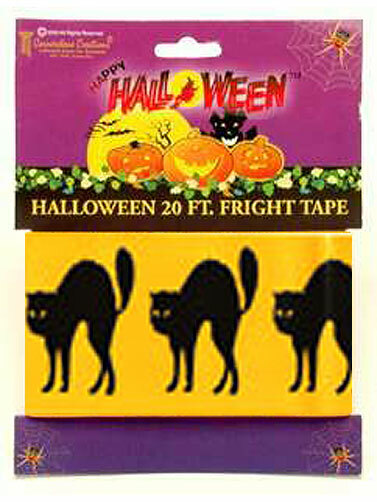 Black Cats Fright Tape measures 20' long.